Listed below are a few important regarding soil. Bulk Density: How heavy the soil is. In general you need your soil to be light. Howeve, if your soil is to light anything you plant will just fall over. Friability: Friable soil is soil that has the crumbly texture ideal for the root growth of plants. Essentially, if you can stick your fingers into the soil then your plant roots will be able to grow through it easily. Water-holding capacity: One of the main purposes of soil is to store moisture and then supply it to your plants. If the water content becomes too low, plants become stressed so how well your soil can hold onto water is important. Remember, you want your soil to dry out between waterings so the roots can breathe. 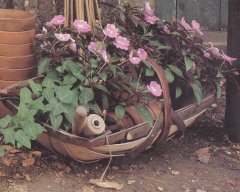 If your soil is too good at holding water it will never dry out and yourplants will rot. Air-filled pore space: Oxygen, which circulates through fissures and cavities in the soil, is essential for the existence of soil bacteria and for the respiration of plant roots. The process of exchange of air between soil and the atmosphere, called aeration. 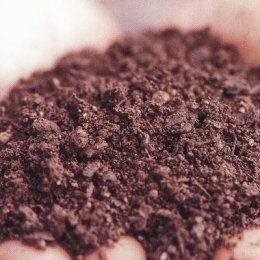 Ten to fifteen percent of your soil mix should be air. Materials like Perlite and shredded bark are coarse enough to create air space allowing the roots to breathe even though the soil may be moist. Certain soils and soil mixtures are able to hold onto nutrients better than others. Farm manure has very good nutrient holding capacity. The three most important nutrients gleaned from the soil are nitrogen, phosphorous and potassium. Plants use large amounts of these three nutrients and all fertilizers contain amounts of one or more of these nutrients. Along with magnesium, sulphur and calcium. Is how well soil is penetrated by water and how well it holds water. Sandy soils have loose particles and have high water permeability but do not retain moisture very well . Clay soils on the other hand have low permeability but retain water well. Loam soils(Loam soil is a soil characterized by roughly equal amounts of clay, silt and sand) have medium permeability and absorption, and silt soils have low permeability and high retention. These are a good idea when you are in a wind blown area or are not able to water as often as you would like or if you are using a mix of more than fifty percent sphagum peatmoss . The planting medium you choose, planter type and size and how you garden will all affect your soil and how your plants grow. In general terms though most of the commercial planting mediums will work well for your plants.